Ace Communications Group is an Australia wide Internet and telecommunications provider focussed on the small to medium business market. 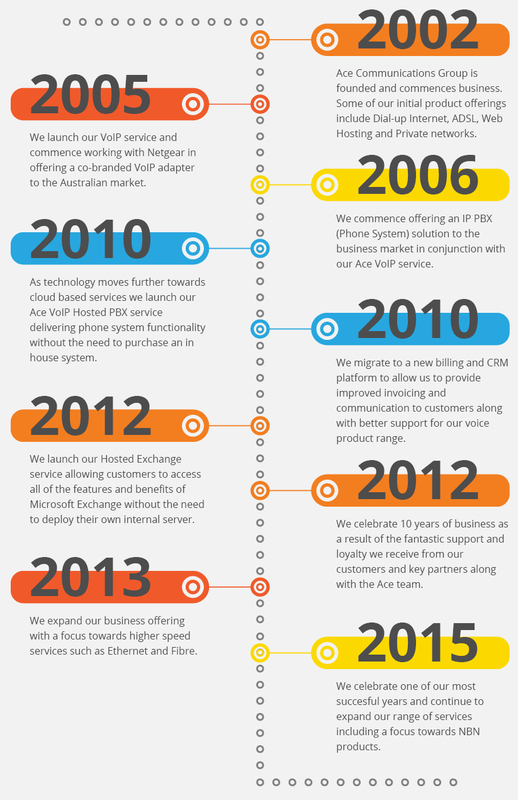 Our team is based in Australia enabling us to provide customers a responsive and premium level of customer service. By taking a personalised approach we deliver tailored solutions to meet the diverse needs of each business. Founded in 2002 we continue to demonstrate an honest and friendly approach to business where the needs and priorities of our customers come first.